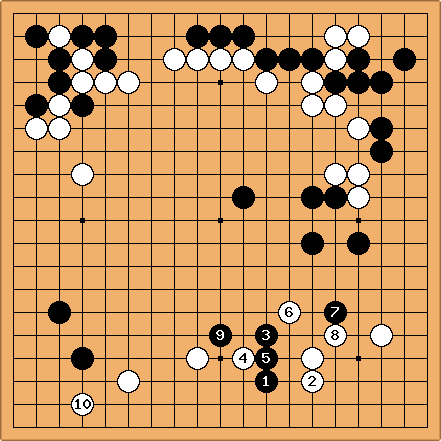 In the 1st Daiwa-Shoken Cup, Yoda Norimoto played a rather unusual opening versus Kobayashi Satoru. Though I have seen arguments that the 6-3 point is good, I had never seen 6-4 points played in a pro game prior to this one. (Not that I had ever specifically looked, either.) The first one seems to be played in the spirit of exploiting the high approach to the komoku, but that doesn't actually take place in the game. 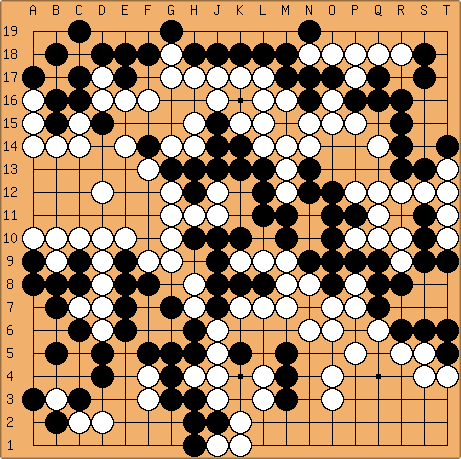 MarkD: It 6-4 point was played by a lot of pro players, for example in the game Nabeshima Ichiro, 4d - Takagawa Kaku, 2d; Go Seigen, 5d - Sekiyama Riichi, 4d; Kitani Minoru, 6d - Sekiyama Riichi, 5d and so on. As you can see these are really famous players. Blake: Well, Go Seigen and Kitani Minoru I would have expected; that was the "New Fuseki" era, after all. Still, it seems less popular than any of the other corner moves, even 6-3 and 5-5. MarkD: With kombilo, I can find 84 games with a 6-4 opening out of 24729 in my database. 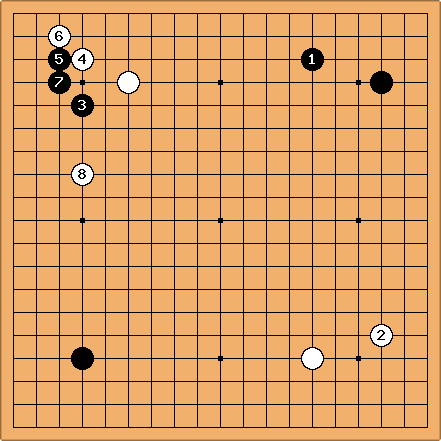 Blake: Well, the page studying the first move in the corner hints that this may be more common than the 5-5, but it's certainly less common than the others. 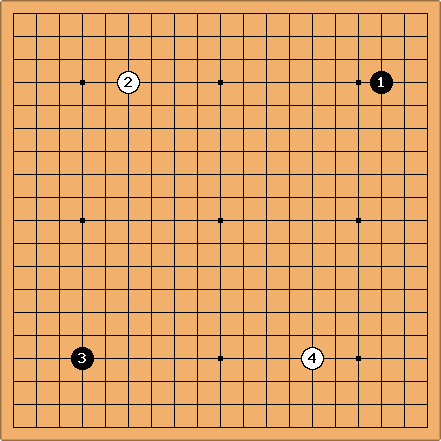 Kobayashi never makes any serious invasions or reductions against the corner--I was surprised, since the 3-3 is so invitingly open. I suspect he may have thought Yoda had prepared some special plan for that eventuality. In the end, Yoda wins by 3.5. I don't think you can call the 6-4 opening a great success, though.